There is no doubt that bridges have always been designed with functionality in mind. However, there are some truly bizarre designs which deserve a closer look. Let’s examine the ten weirdest bridges that currently exist. Lucky Knot Bridge (China) is actually three separate structures “woven” into a single span. Its sinuous curves and undulating appearance deserve a mention within this list. 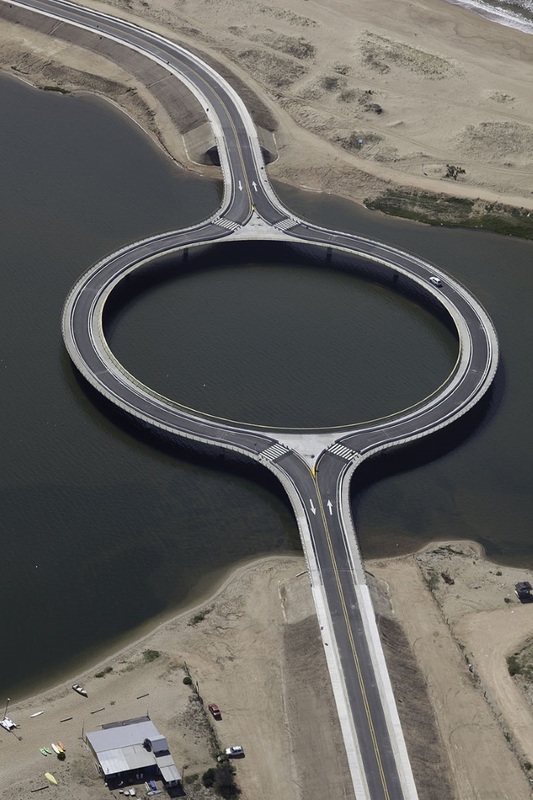 This bridge is unusual due to the fact that it is shaped as a complete circle. This design was apparently adopted in order to limit driving speeds and to provide pedestrian access. When viewed from the air, it exhibits the appearance of a roundabout much more than a traditional bridge. 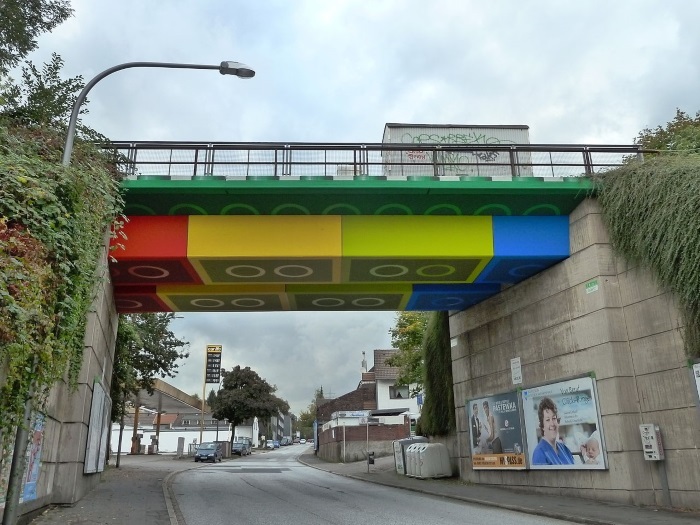 Located in Germany, this concrete bridge literally appears as if it has been constructed of brightly coloured Lego blocks. It is arguably the most famous attraction in the town of Wuppertal and its design was created by street artist Martin Heuwold. 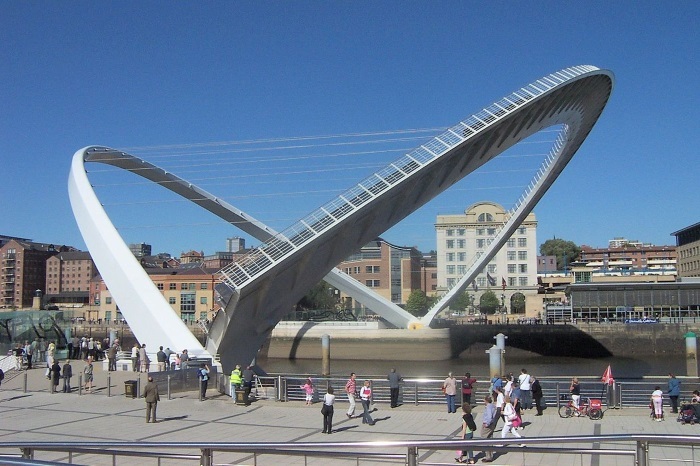 Often referred to as the “Blinking Eye Bridge”, this structure is located within Newcastle upon Tyne in England. Its unique shape was the brainchild of architectural firm WilkinsonEyre and its tilted structure is specifically designed for pedestrians and bicyclists. 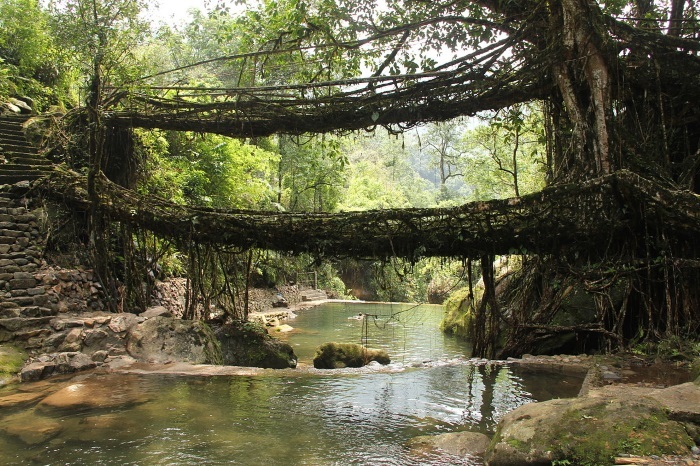 Believe it or not, these living bridges are actually a type of tree that has been woven to grow horizontally over rivers and gorges. 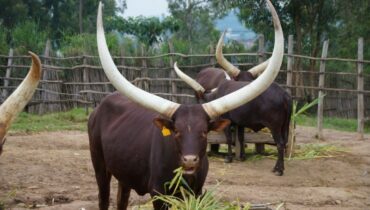 These marvels of man-made natural engineering were first observed in 1844 although it is thought that their history can be traced back for centuries. Some of these structures are known to exceed 50 metres in length! The Rolling Bridge is a unique type of drawbridge that employs triangular sections to “curl up” when a boat is expected to pass underneath. 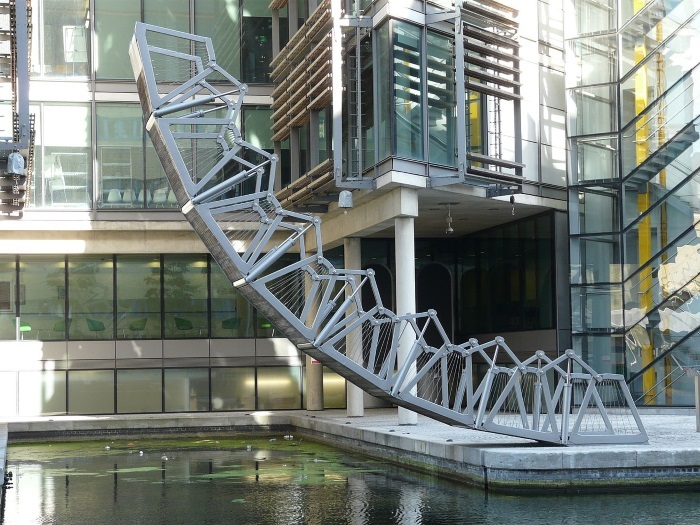 It was first developed in 2004 and it is located in Paddington Basin (London). The curling mechanism itself is controlled by a series of hydraulic pumps and cylinders; allowing it to appear sinuous and flowing as opposed to rigid. 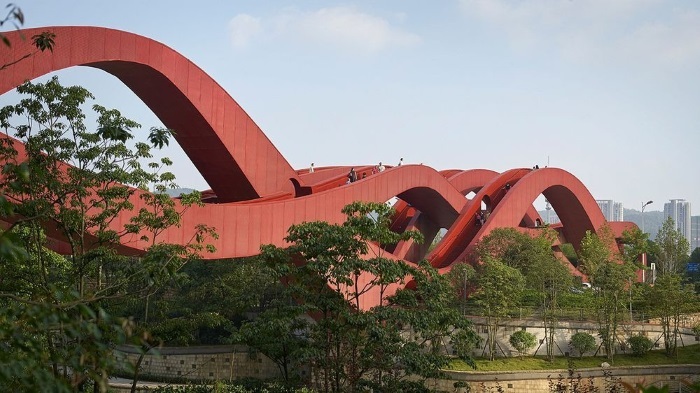 At 666 metres long, this devilish bridge is a sight to behold. Its two steel arches appear as if they are the spine of a dragon emerging from below. 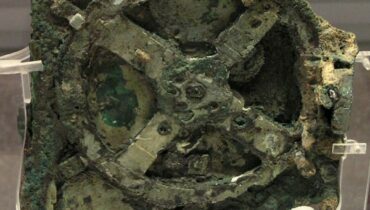 However, the main attraction is a massive metallic head emerging from one side. The bridge is lit up at night with gold and yellow lights to create an other-worldly ambiance. There are even occasions when fire will shoot out of its mouth. 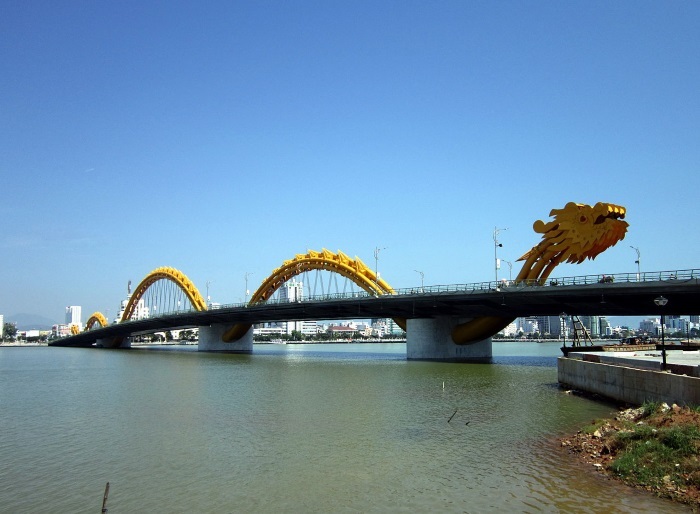 It was first opened to the public in March 2013 and Dragon Bridge is one of the most popular attractions in the city of Da Nang. The Eshima Ohashi Bridge is what is known as a rigid-frame bridge and it is not for drivers who have a fear of heights. One of the most interesting aspects of its design is the fact that it appears to have a very steep gradient if viewed from certain angles. This has caused some to hesitate crossing. However, the steepest incline is only 6.1 per cent. 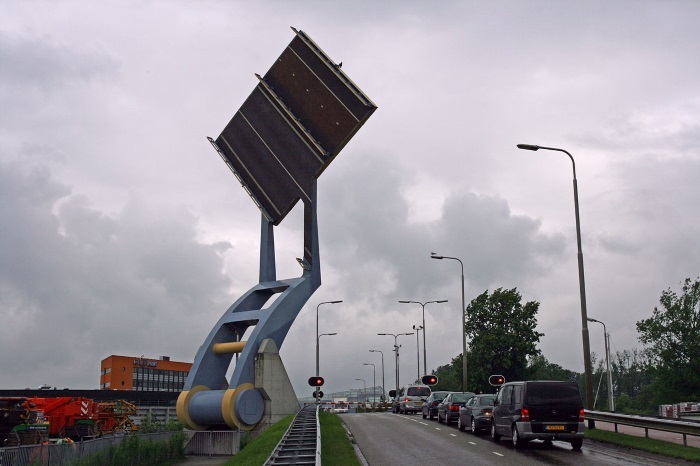 Located in the Netherlands, Slauerhoffbrug (literally Slauerhoff Bridge) is what is known as a “tail bridge”. While it serves as a drawbridge, the most stunning aspect of its design involves the fact that the entire span is raised from only one side. The deck of the bridge is painted in a combination of yellow and blue; signifying the seal of the nearby city of Leeuwarden. Some have likened its movements to that of a giant fly swatter being raised and lowered. 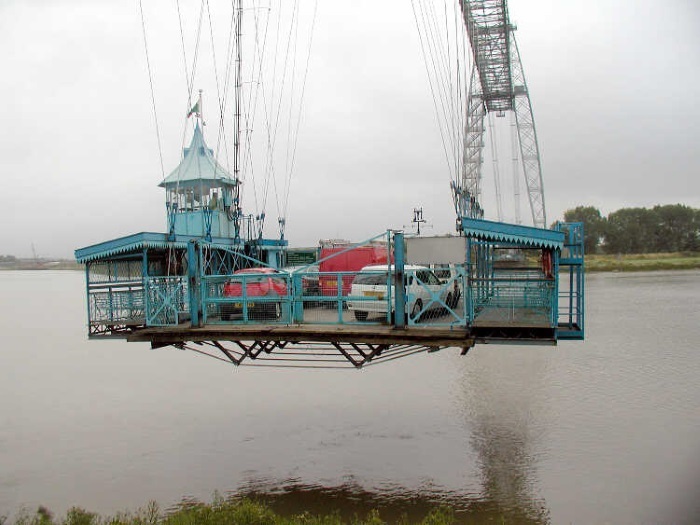 This is a type of transporter bridge that is used to carry passengers and cars from one side of the River Usk (Newport) to the other. It is actually one of only a handful that were ever built. Consisting of a reinforced frame and spanning a total length of 236 metres, the Newport Transporter Bridge is a sight to behold. The bridge can transport vehicles the size of a lorry from one side to the other although it is equally popular with pedestrians. 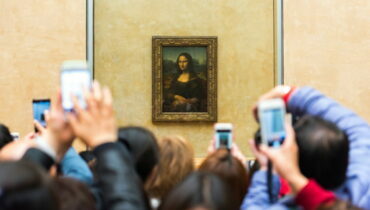 It was first opened in 1906.